Retail And Wholesale Of Quality And Affordable Male And Female Shoes, Wears, Bags And Hair. We Offer Nation Wide Delivery. 07064790308. Retail And Wholesale Of Quality And Affordable Female Shoes, Bags And Hair. We Offer Nation Wide Delivery. 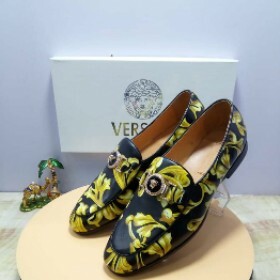 08064929464 Or 08114765561,call Or Whatsapp.Uk Quality Flat Shoes,half Shoes And High Heel. 09098942120 Contact Us For Your Quality Handmade Shoes And Bags Both For The Male And Female Folk.Our Prices Are Unbelievably Affordable. Delivery Within Lagos And Ogun Are Free!